If your idea of heaven is clear skies, pure mountain air, and plenty of space to call your own, you’ll fall in love with Juniper Mountain Ranches. You can also be free of the hassle that can come from an home owners association (HOA) as there is no HOA here. Here in the heart of the magical Juniper Mountains, you’ll find the “Bug-out” place of your dreams in a spot that many are calling the “Vanishing America.” Away from the crowds, the traffic, the lights, the noise, the smog, and the stress, you’ll find peace amid the piñon pines, juniper evergreens, and wildlife. Only 2 1/2 hours from the deserts of Las Vegas and 3 hours from the heat of Phoenix, Juniper Mountain Ranches are the perfect place to bug-out for a week-end, a week, or a lifetime. Whatever you choose, this secluded wilderness with its astounding views will refresh, renew, and soothe both body and soul. Living off the grid brings a whole new dimension to daily life – one that brings you back to basics and banishes the petty annoyances and intrusions that come with city hustle and bustle. Because they’re off the grid, the resale properties in Juniper Mountain Ranches afford you the opportunity to own a large tract of land at a surprisingly affordable price. Choose yours soon – you’ll not only own a unique wilderness retreat to enjoy now, you’ll possess a part of vanishing America that you can preserve and proudly pass on to generations to come. Juniper Mountain Ranch elevations range from 5,500-5,900 ft – thus yielding a very pleasant mile-high climate. No burdensome heavy winters nor intense summers here — only four (five counting the Monsoon Season) distinct seasons, yet all are mild. 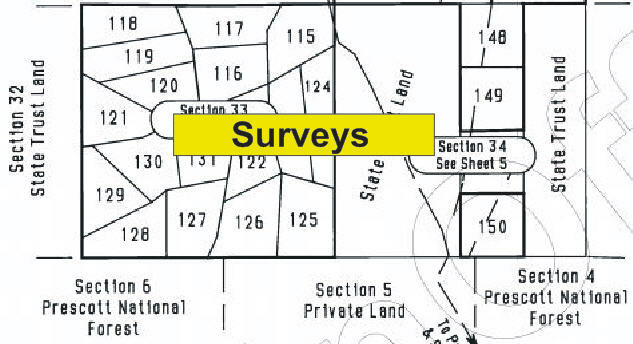 All properties were surveyed, mostly into SQUARE 40-acre lots. Monuments mark each parcel corner. Water is via owner-installed wells or water or as a utility like propane. You can have it delivered, or if you prefer to haul your own, water can be obtained in Seligman at $0.25 for 50 gallons. 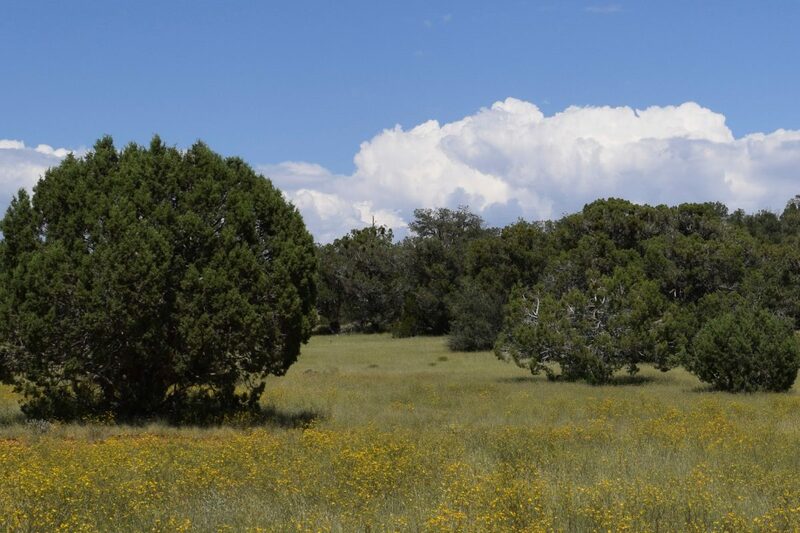 The properties in Juniper Mountain Ranches are open and treed and have more gentle slopes than Sierra Verde Ranch and Shadow Rock Ranch properties with higher elevations. 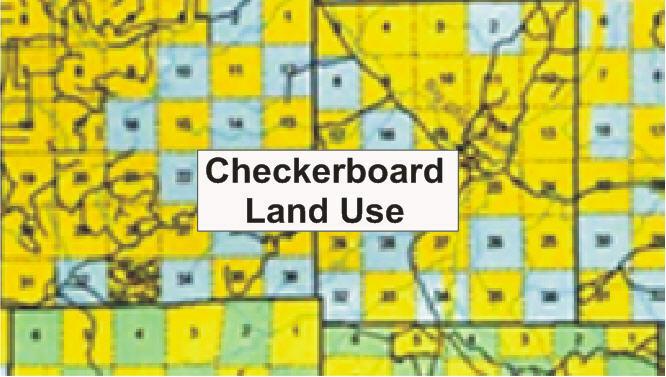 There are many sections of Arizona State Trust Land mixed in with the Juniper Mountain Ranches allowing for easy access to miles of hunting and “off-roading.” See my article on the Checkerboard Land Pattern for more information. Parcel prices and terms vary according to specific location, terrain, features and amenities as well as are determined by each owner. 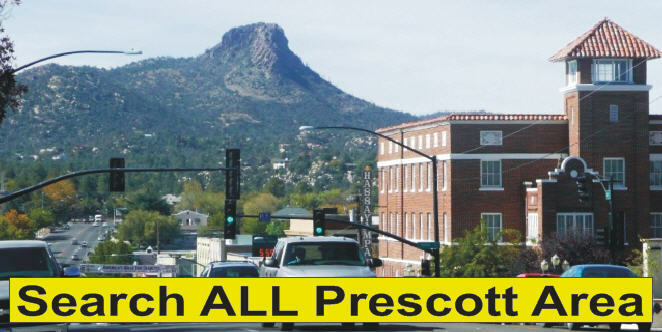 The quaint and interesting town of Seligman is a great place to visit. It is known as “The Birthplace of Route 66” See the virtual tour of Seligman. Juniper Mountain Ranches are southwest of Seligman along each side of Anvil Rock Road south of Exit 109 on Interstate 40. These properties are not part of an association (NO HOA here!). There were originally 124 lots in Units I through III. The lots were surveyed and recorded starting in 1981 making this development the first in the area. I made a map of the whole area showing the three neighborhoods of Juniper Mountain Ranches, Shadow Rock Ranch and Sierra Verde Ranch. See it here. I also made a map of The Juniper Mountains. Get your copy here.